It’s time once again to revisit Gameindustri in Megadimension Neptunia VIIR. This is remake of Megdimension Neptunia V-II that released back in 2016. At first I thought they just upgraded the graphics slightly, added some VR interactions and tweaked the combat, but there is a lot more to this remake that meets the eye at first glance. You can always check out my review of the original if you need to brush up on that release. Let’s dig in and see just what’s changed. The story is completely untouched from the original release. Neptune comes across a strange looking retro console that resembles a Dreamcast. Nepgear attempts to fix the console, when all of a sudden the girls are drawn into a mysterious portal. They end up in another dimension called Zero Dimension. 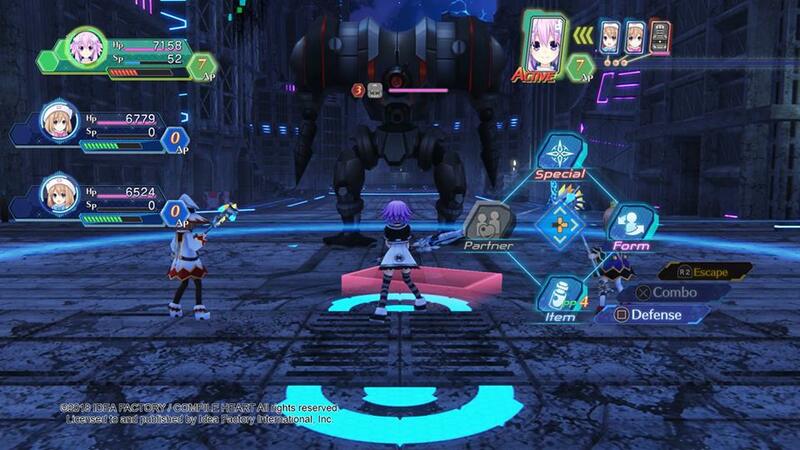 Here a lone CPU, Uzume Tennouboshi, is fighting a lonely battle against an enormous foe, The Dark CPU. Neptune and Nepgear will have to work with Uzume in order to defeat The Dark CPU, save Zero Dimension, and find their way back home. The newly added VR scenes were the only real additions to the story, if you want to call them that. Each of the four main Goddesses will spend time with you in various scenes as you get to know them a bit better. Newcomers to the series might be a little lost here since you may not know all the quirks of these gals, but series vets will feel right at home. 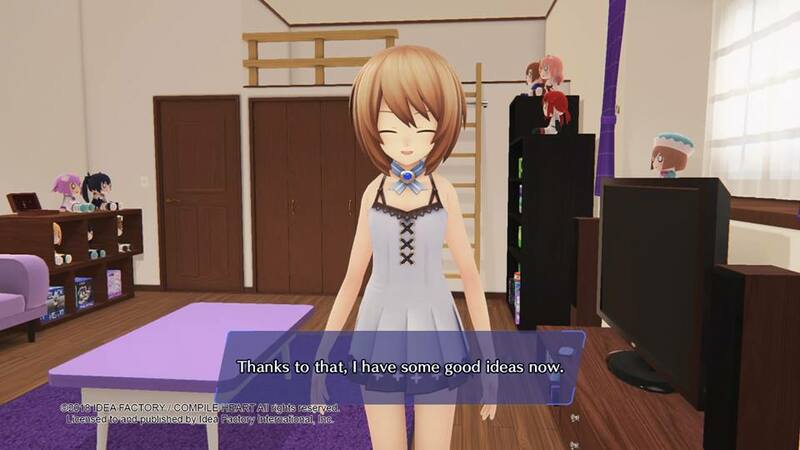 Blanc is completely adorable in her scenes, while Noire is a little clumsy and shy, Vert is all about tea and MMO’s and Nep is energetic as always. 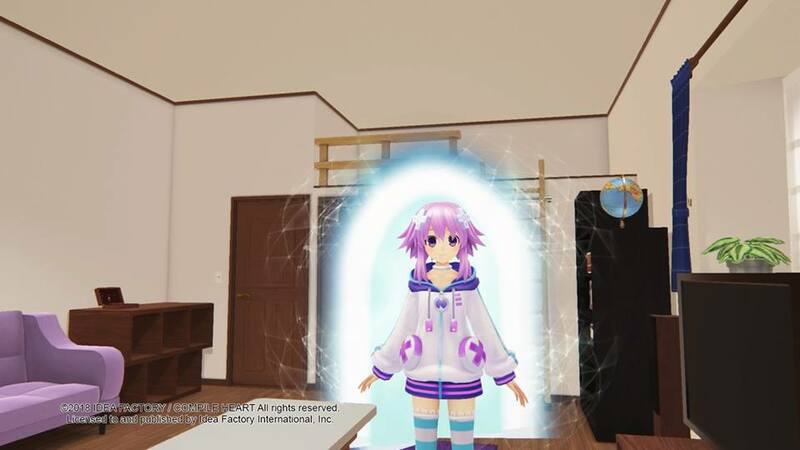 There are some VR scene’s with Big Nep that are used as story intermissions as well. After each scene you will score a room item to decorate your VR room. These include plushies, posters, and more. You do not need a PS VR to enjoy all the VR features in the game. They work just fine with a standard controller. The graphics have been upgraded greatly for this release thanks to a new engine. All of the character and enemy models are more detailed and much clearer than before. The colors are much brighter and everything looks less washed out. 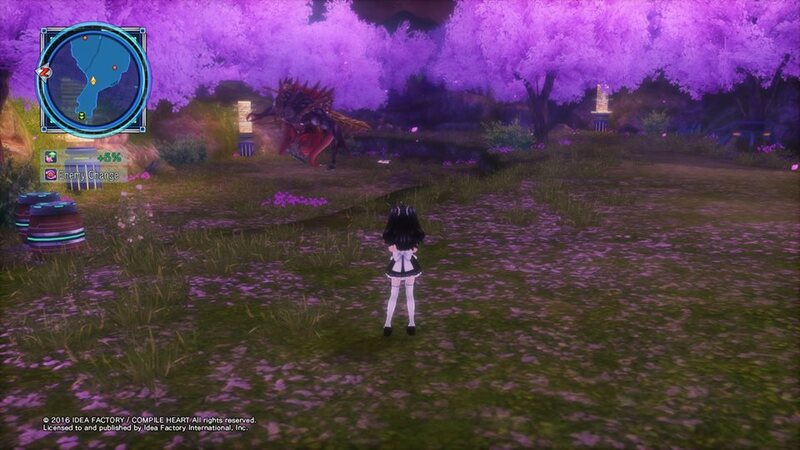 This is due to better lighting in the graphics engine. The game is locked at 30 FPS but it’s very consistent. I never saw a single frame dip in my 70 hours with this. All of the transformation scenes and special attacks look even more amazing than before. Here is a comparison, the left image is the new engine. There have been big changes to the gameplay in this remake. Attacks will now use a mix of SP and AP to be executed. You can still do multiple actions in a single turn, but the bigger attacks will consume more points. The EXE gauge is gone and all special attacks now consume these points as well. Items use PP and work very similar to how they did back in Hyperdimension MK2. You will have to issue a command to defend at the end of each round, but there are different types of defenses at your disposal. Some will allow to you get a turn faster, regain health, or even counter attack. Each character can learn two different counters, one for melee attacks and one for ranged. These counters are pretty over powered in some ways and can really turn the tide of battle in your favor. The other huge change in combat is you will not have to heal HP or SP out of battle. These will be restored at the end of combat, so healing items will only be used during battles. Skills are not learned by level, but purchased with credits, though you will have to meet the level requirement before purchasing each skill. You will however gain skills much faster in this game than in the previous titles. I had Victory Slash with Neptune before I even left Zero Dimension. You will also earn BP (Bonus Points) whenever you complete challenges or level up. These can be disturbed to any stat you would like and can buff up your characters in a hurry. Weapons, armor, and clothing now have their own stats. This means each item will give you unique perks ranging from extra strength, more AP, better movement and more. There are also different grades of equipment that range from common to legendary. Keep this in mind when you are crafting items from plans, as sometimes if you make more than one you may get a better one if your first attempt isn’t up to snuff. You can also level up all your wares with items you can craft or obtain via combat. Monsters will also drop equipment as well, but you won’t see a lot of this till you start doing the new bounty and ranked monsters. Bounty monsters will appear alongside quests in the guild. These strong monsters will give you a great amount of EXP and credits. They will also drop a ton of items upon defeat. These drops include the aforementioned equipment as well as upgrade items and disc chips. Post game high risk bounties will unlock providing you with even bigger baddies to slay. Ranked mode will unlock post game as well. Once you have found the hidden treasure in a dungeon you will have access to this mode at that location. 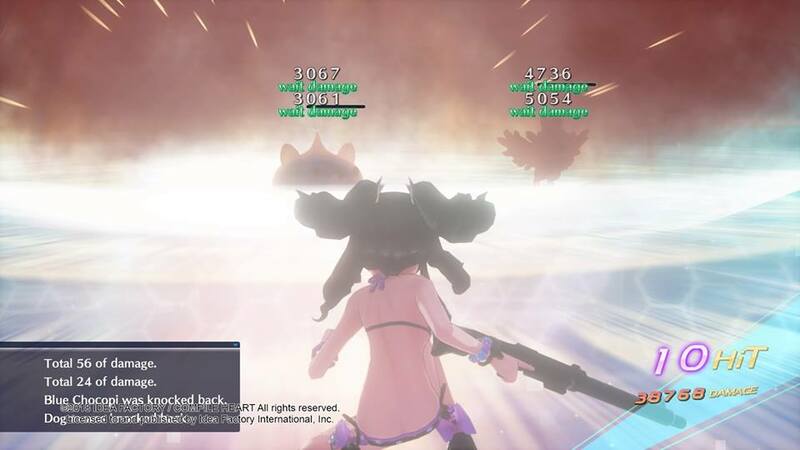 Defeating other enemies on the map before fighting the ranked monster will weaken it and give you bonuses such as more EXP. As you defeat these monsters your technology level will increase, which will allow your equipment to be upgraded to a higher max level. There are few other odds and ends changes I feel should be discussed here before closing. First off, there are no more random encounters on the world map. This was one of the most annoying things about the first release and thank goodness this has been remedied. You will now craft or find almost all your equipment rather than buy it in the store. This isn’t a big deal since they made it easier to obtain the items from the plans with scouting system improvements. You can only send one or two scouts to each location now, but it will show you what items they can find there. This makes it easier to plan where to send everyone to get what you need. Items are now sold from the camp menu at any time, which I thought was dumb at first but late in the game when you have hundreds of pieces of equipment this made a lot of sense, because you can sort the list several ways for easy clean up. One other important note is there are no save points in this game. The game will now autosave after every battle and event, but don’t worry: I’m pretty sure there is only one ending this time around so you won’t miss anything important. 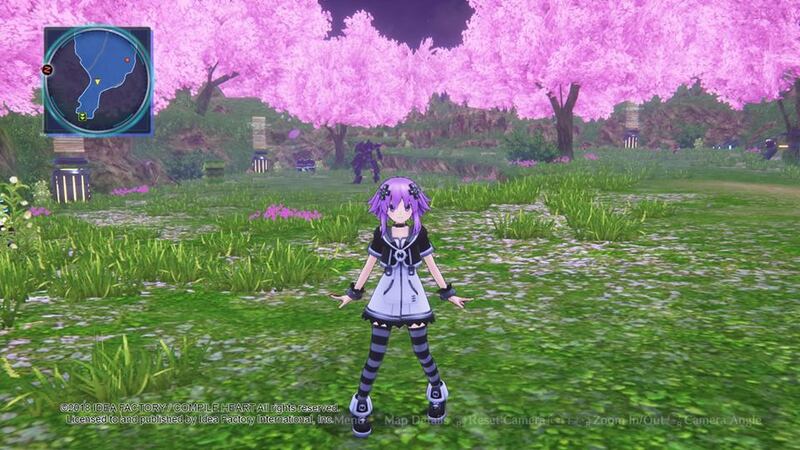 I know this review sounds a bit like a glorified changelog, but I wanted to make it clear to everyone this isn’t just Megadimension Neptunia V-II with a new coat of paint and some VR slapped in it. Every system in this game has been redone or tweaked for the better. This game is a testament to just how much Idea Factory has learned over the years, and they have created a near perfect experience here. The DLC characters from the previous release being removed isn’t a huge loss, but the biggest hang up is the pricing. At $60 I find it hard to recommend this to everyone that has already purchased V-II this soon after its release. If you’re a fan of the series or you didn’t buy the previous release this is a must have title, but if you own V-II currently you may wanna wait for a price cut to jump in here.